Awards season has started, and Topps is continuing their online tradition. 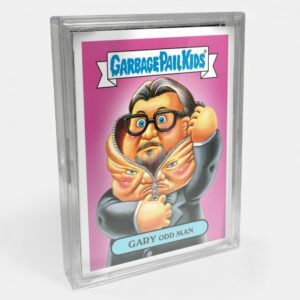 Today Tops revealed the print run for 2017 Garbage Pail Kids Golden Groans Awards online set. The set, which was on sale a week ago, was based off the the recent Golden Globes award show. The artwork on the cards was primarily done by artist Brent Engstrom, with David Gross and JungHwa Im each doing one card. 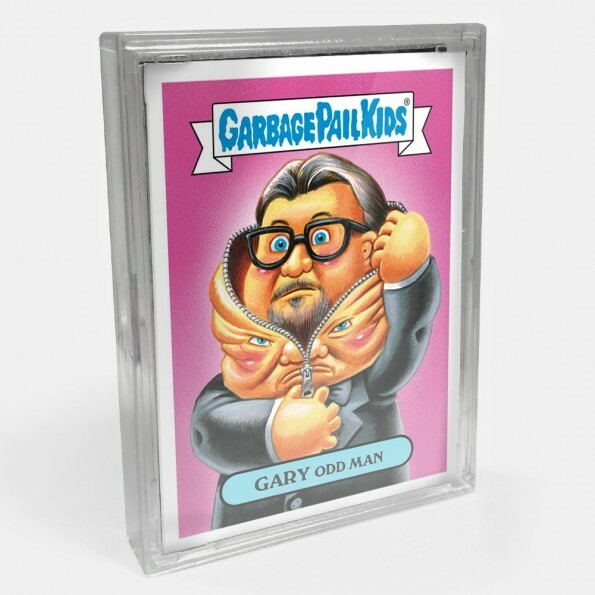 Like previous online awards sets, this one failed to capture the imagination of GPK collectors. The print run was down compared to recent holiday sets. The set finished up with 147 copies sold. Cards for movies/TV shows don’t always resonate with collectors. There are many more awards shows to come the next couple of months, will Topps continue the sets? This entry was posted in Online Sets, Topps.com and tagged Online Sets, Topps.com by Jeff. Bookmark the permalink.